Yesterday, my mom and I finally got out of the house to do a little thrifting, and I had some good luck! I only got three things, but a lot of times I usually just leave thrift shops empty-handed! The best part about it though, is that they are all vintage, which makes me very happy, so I thought I would share what I found with you all! The first thing I got was this lovely little vase. I really love the details on it, and the floral printing in the middle. 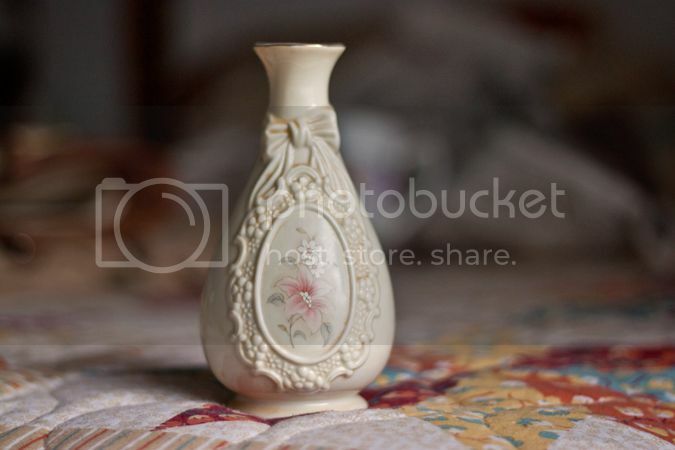 I could tell it was vintage from the labeling on the bottom of the vase, but I'm not exactly sure how old it is. Now all I need to do is find some pretty flowers to put in it! The second thing I found was this mug here. You're probably thinking, "okay, its a random mug. What's so special about it?" Well, I go to Walt Disney World very frequently (very frequently meaning once every other week) and Epcot is my favorite park at WDW. In my opinion it is very unique, and I am a bit of a Disney geek, so I enjoy the history of the parks, and Epcot especially, which is mostly why I get so excited over these little vintage pieces that came from the park from around the time when it first opened up. In this case, this mug is actually from 1982, the year the park did open! 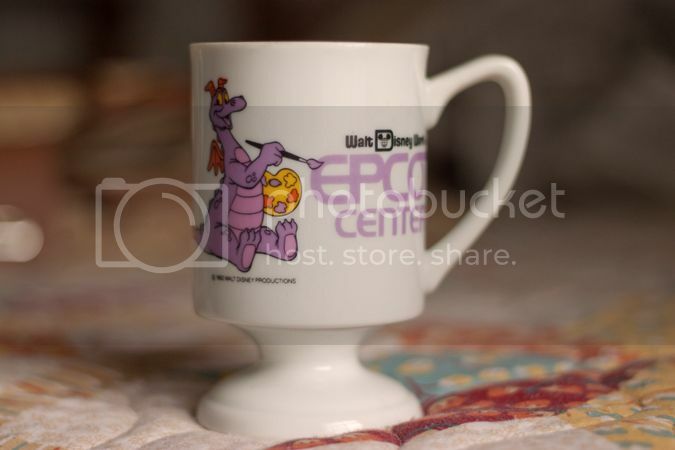 I also have another EPCOT Center mug which is from '82 also, and I found it at the same thrift shop, actually! But yes, I am very happy that I found this mug and I love it so much! 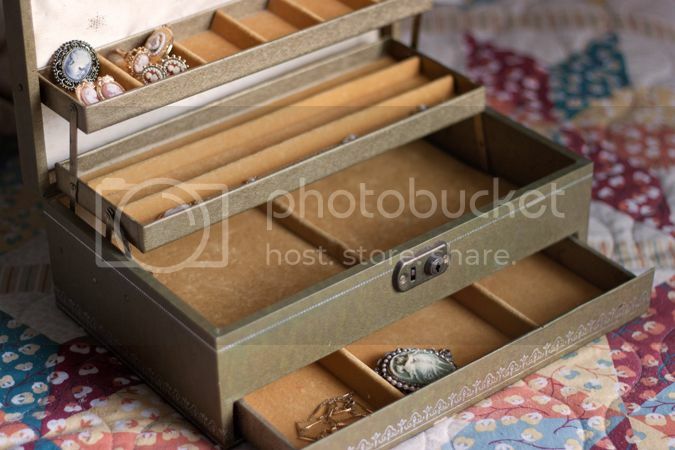 This last item here is a vintage jewelry box, which I automatically fell in love with. I believe it is from the 50's, maybe even from earlier decades. But I just love everything about it. The color, the simplicity of it, the pop-out compartments, and even the smell. It smells like an old attic on the inside, which, call me weird, but I think is a lovely scent. 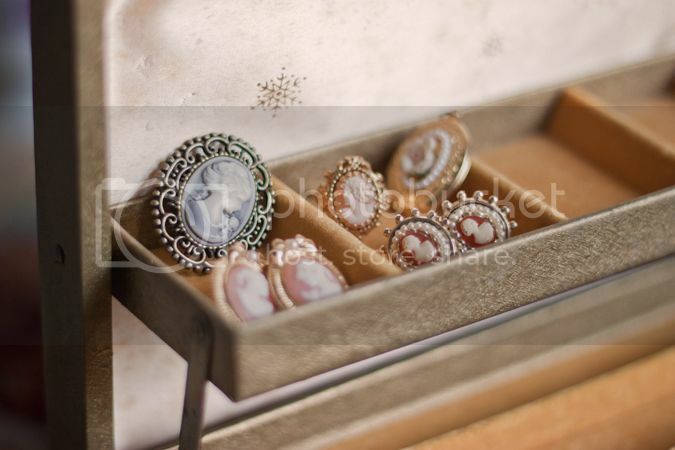 I just love imagining all of the lovely, vintage pieces of jewelry that were placed in it at one time, long ago. I wonder if maybe it had been passed down any, and then donated? Or was it very special to someone at one time? Silly things to be wondering about a little jewelry box, but I'm sure there is some kind of story behind it. I mean, why not? It is in very good, almost perfect condition, like someone has taken very good care of it. But that's what I love about vintage pieces like this, just wondering what it's worth might of been to someone at one time, even wondering what it's first owner looked like in, maybe the 50's. 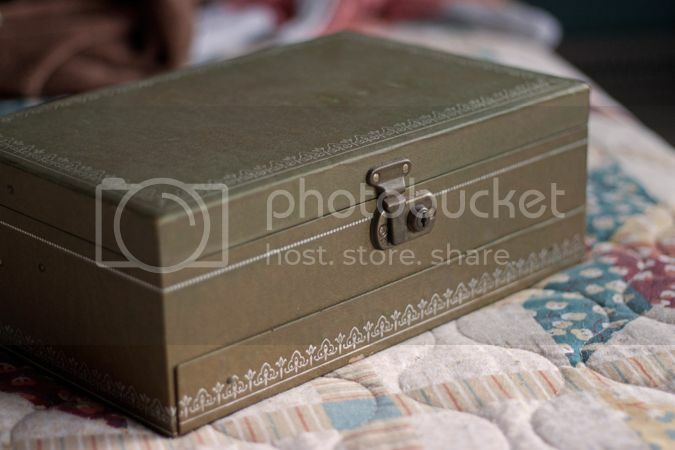 Things like this just keep me thinking and thinking for hours - and all over an old jewelry box. Haha! But it's all very interesting to me.